It takes time to discover which motorbike is best for you. When deciding on a vehicle, models are usually simultaneously similar and starkly different and your choice will usually depend on which features you will use most. While some concept cars aim to be more unique and specialised, these are mere distant dreams. Bikes are customisable in that they can be tailored to individuals and what they look for when they go riding. Are you looking for comfort? Speed? Aesthetics? Off-road capabilities? 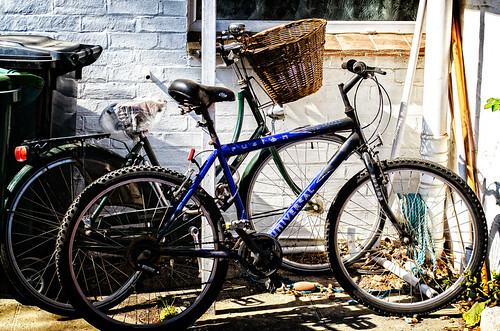 With so many different types of bikes on the market, it can be tough knowing which is best for you. Here’s a breakdown to make your choice easier. The Cruiser is a favourite among many, the most famous model being the Harley-Davidson. Harvey Davidson’s are retro and evocative of old motorcycles from the 1930s. The riding position tends to be feet forward and hands up with the spine straight and erect or leaning back slightly. This is claimed to be more comfortable for long rides, but many will dispute this and it all depends on what you’re comfortable with. They typically don’t have a windscreen which means you’ll get a full blast of air if you’re riding fast down a highway. Cruisers are mostly designed with cruising in mind, thus the name, which means riding around town almost leisurely. They are relatively heavy and their handling suffers from the design, making them unsuitable for high speeds and racing. Made for speed, these are the types of bikes you want to have if you ever find yourself at a red light with a young, cocky and smug rider revving his engine in the lane next to yours. While you’d be wise to avoid street races, it’s still nice to know that you’d win. These bikes are great for racing at your local race track, or taking on cruises with tight bends. Their handling is superior to most other bikes and they are generally very pleasing to look at. These might be too powerful for beginners, so consider this option carefully before you commit as they might be too much to handle. If you have access to off-road trails and want to bask in the glory that is off-road biking, then you can’t go wrong with a dirt bike. Dirt bikes are designed exclusively for off-road riding. The suspensions are specially designed so that you can take jumps at high speeds. Naturally, you’re sitting higher than on normal bikes for greater comfort when you’re jumping over obstacles. These bikes are light, fast and dangerous. While they provide for a great recreational activity, beginners should have in depth instruction before setting off on their own. Combining on-road and off-road riding, this bike tries to build a bridge between the two types. They are designed to be used as standard bikes on highways and paved roads, as well as being taken to a dirt track. The flaw, it is generally agreed, is that a jack of all trades is a master of none. By this I mean that, while it can accomplish both tasks, it does neither of them particularly well. This will vary from model to model, but generally, they aren’t as good as the dedicated on or off-road bike. That doesn’t mean they’re worthless, it just means you’ll have to regularly take part in both types of riding to fully appreciate the dual-sports bikes. If you just do one or the other, I’d recommend you stick with either the sports or the dirt bike. Adrian Rodriguez is a freelance writer with a passion for motorcycles. He recommends that you finance your ride instead of paying it all off in one go.